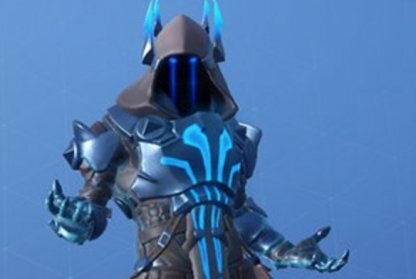 Learn more about the progressive skin - ZENITH from the Fortnite Season 7 Battle Pass! Also introduced are skin levels & guide to help you unlock different styles! 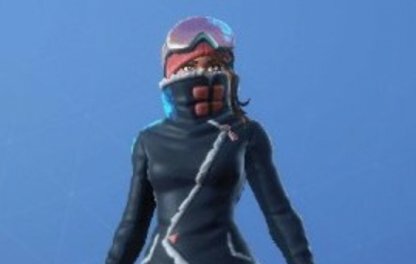 Never fear the icy winter & chilly snow with ZENITH! 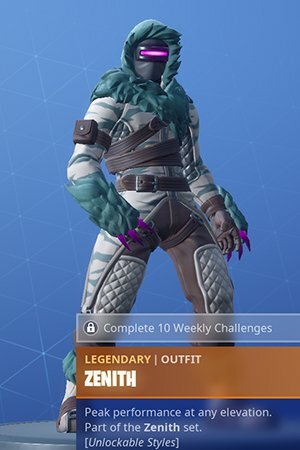 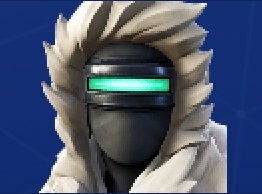 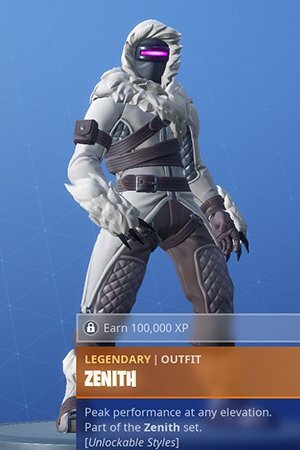 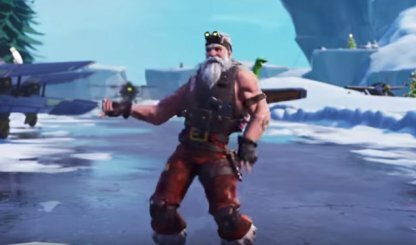 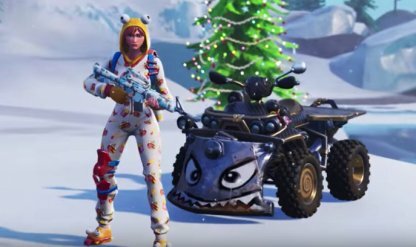 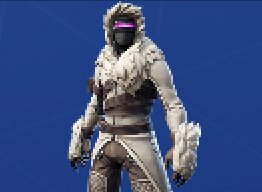 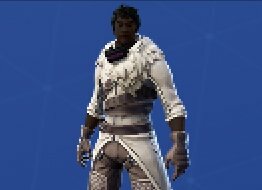 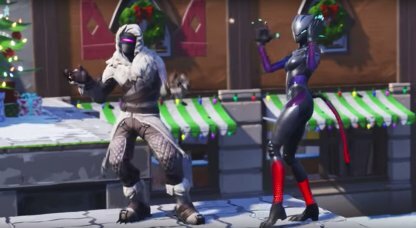 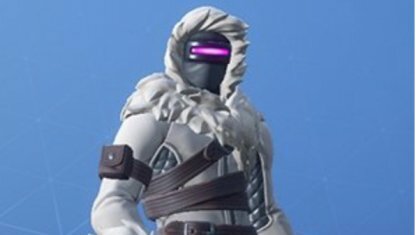 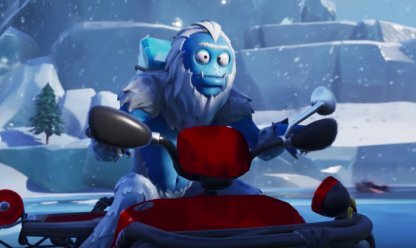 Unlockable with Season 7 Battle Pass, this skin is progressive and has changing color styles. 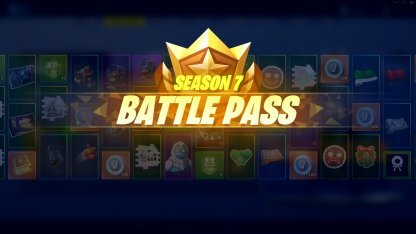 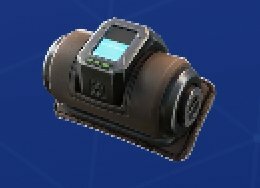 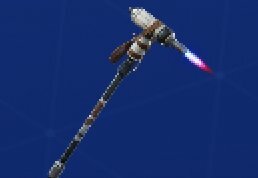 You automatically receive ZENITH when you purchase a Fortnite Season 7 Battle Pass. 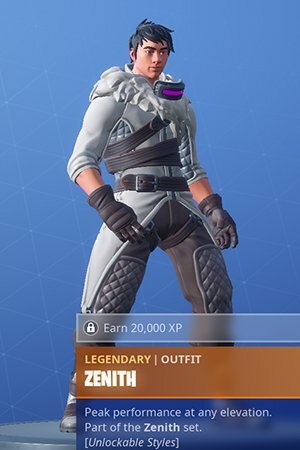 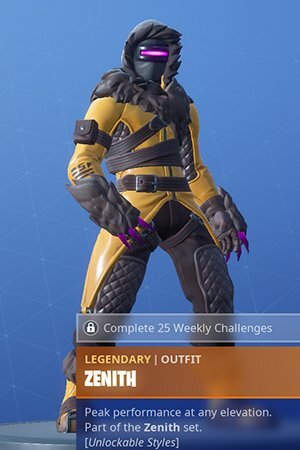 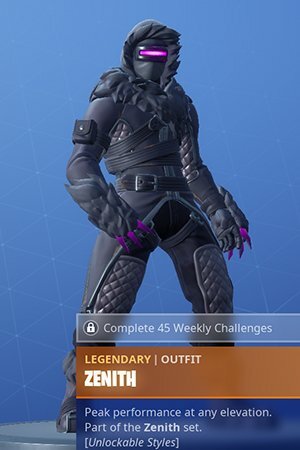 The ZENITH skin will unlock additional cosmetic looks as you earn XPs and complete Weekly Challenges. As ZENITH progresses, you will unlock more gear for him to brace the cold weather! 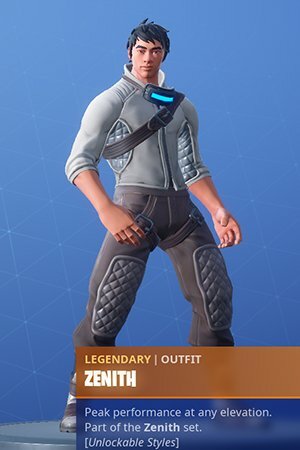 ZENITH skin is an exclusive Battle Pass skin that players can unlock once they acquire Battle Pass Tier 1.